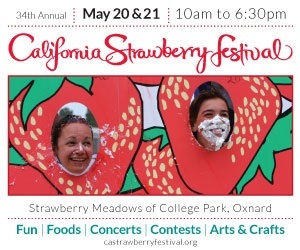 I’m excited that I will finally have the opportunity to visit the California Strawberry Festival! May is always super busy for us with birthday parties and weddings but for once we will have the weekend all to ourselves. The weekend of May 20th and 21st we will be taking mini road trip to Oxnard. It’s only an hour away from Los Angeles and I’m looking forward to eating lots of strawberries in as many delicious forms as possible and taking lots of cute pictures. Strawberries and babies! OMG. Known as the “belle of all things berrilicious” it’s an event of epic proportions covering 15 acres with 50 food booths, live concerts, 200+ arts & crafts exhibitors, cooking demonstrations and best of all Strawberryland for Kids with rides and attractions. 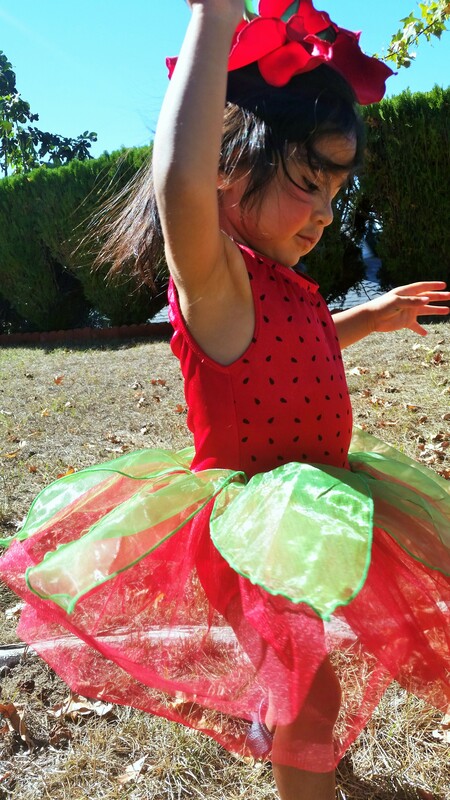 The Berry Best Dressed Baby Contest encourages infants up to four years of age to participate to win prizes! You know Ji and Dahlia will be first in line to participate. Ji is already practicing her best strawberry impression moves! I want to give one lucky reader the opportunity to join in on the fun too! Comment your favorite way to eat strawberries and you’ll be entered to win a family FOUR pack. Visit my Instagram page for double the chances! LOCATION: Strawberry Meadows of College Park, 3250 South Rose Avenue, Oxnard. Oxnard is 60 miles north of Los Angeles and 30 miles south of Santa Barbara. Free park ‘n’ ride shuttles run from convenient locations just off the 101 freeway offer direct access. Limited parking is available on site for $10. ADMISSION: Adults: $12; seniors 62+, active military and dependents with ID card: $8; Youths (5-12): $5, Free for kids 4 and under. Check out my Instastories to follow our family adventure to The California Strawberry Festival! Contest ends on Friday, May 12th. Winner will be announced on Sunday May 14th. Fresas con crema. Fresas con Nutella.. When I lived in Charleston they had a fun strawberry festival, we loved it. Thinking about it has missing Charleston.